I too cried. Can’t help it (lalo na kung iyakin katulad ko). But I know crying won’t help but actions would and prayers. Really heartbreaking! Let’s pray for those who are still looking for their family/relatives. I saw the news and the aftermath damages Sunday, its really heartbreaking! 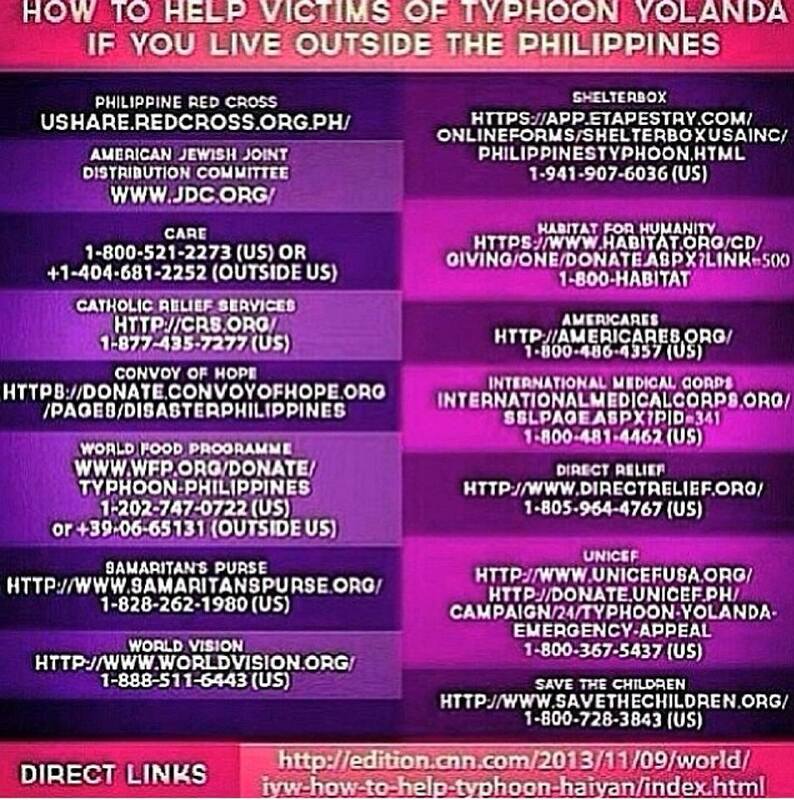 I can’t do anything physically to helped them but I’ll be praying for those family you got hit by typhoon Yolanda. It is very devastating especially my family and relatives lives there and I cant do anything about it because of lack in communication coz all the power lines are down, But I’ m glad and thankful to God that they are alive but I haven’t heard the rest of my relatives if they are fine or not. I just hope for the best. I hope they are all okay rose. Recently I heard some good news about my family they are all safe now thank God, nothing major damages in the house just the roof blown away and the front part of the house too, now they already replace the roof and fix the house slowly. I don’t care about the house being damaged as long as they are all alive and safe that’s all matters. Thank you for all the prayers. my heart was also devastated and silently prayed for all the victims. i hope you and your family are safe, kat! We are safe, Farida. We were under Signal #2 but luckily we only experienced two hours of heavy rains during that time and intermittent raining the whole day. Nothing major. Nakakaiyak naman kasi ang nangyari. Sa isang iglap everything was devastated. No one can ever be prepared with this kind of typhoon/calamity. I just hope and pray that help will reach the victims as quickly as possible. it’s the looting that makes me mad. but then again, who are we to judge? kawawa yung mga nabibiktima nila. they’re making the situation worse instead of helping their fellowmen survive. This is just so sad… may Allah God almighty bless the people of the Philippines. I, too, cried buckets when I saw the news. It was so painful and heart breaking, especially when I saw babies’ and kids’ dead bodies. I was so lost for words. As in parang nalimas yung buong lugar! I hope and pray that help will reach them as soon as possible. Sis, ba’t walang picture si Atom as Thor? hehe Seriously, the devastation is terrible. Parang sa disaster movies. What breaks my heart are the kids! hehehe di ko pinost since it has gone viral already. Haha yes, aTHORm Araullo. Mas dumami tuloy fans nya. And you’re right. Crying does not do anything. I read somewhere that saying how we feel bad for someone (or, in this case, a lot of people) is insulting because we’re somewhat passing the responsibility to others to comfort “us” instead of us comforting them. I really hope that the victims get the donations ASAP! My heart goes out to the victims of the typhoon. I hope they will be able to rebuilt their lives soon. 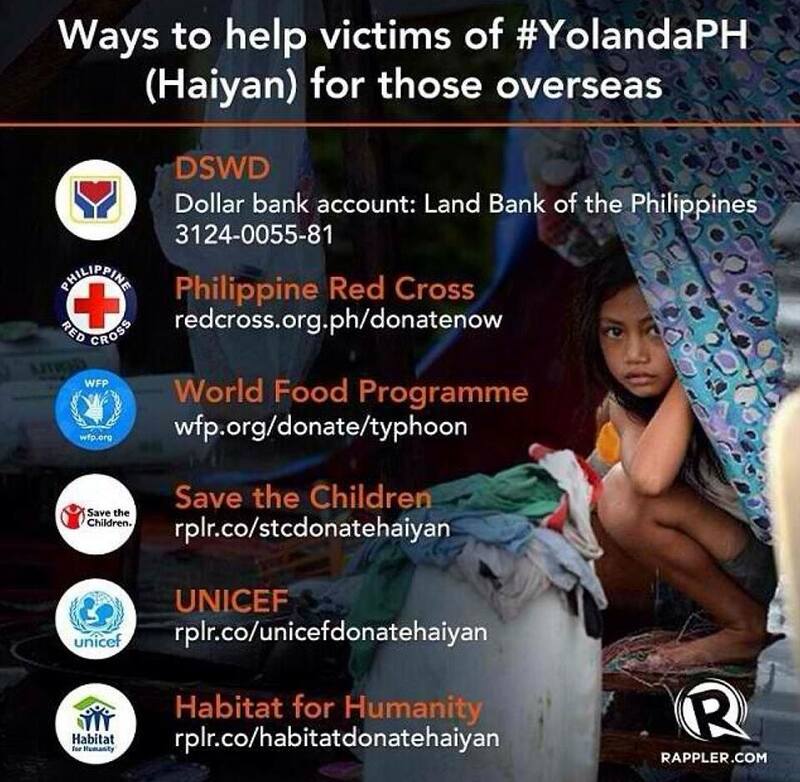 After what happened as a result of Typhoon Yolanda is really depressing and even the earthquake in Bohol! We in Zamboanga City feel that we should actually be thankful because what happened to us in 3 weeks , happened in a few hours in the victims of Yolanda and the earthquake! Here, there are still people who can help the helpless! Thank you for listing the places where donations can be given. It was really really sad. My relatives are in Leyte and I lived there before. I just can’t help but cry everytime I hear or see the news. It really breaks my heart. I hope your relatives are okay, tet. Yes, we just received a single text from them but that single text answers all our worriness. It really breaks my heart seeing the victims of Yolanda. Our company hr starts to solicit any help from us already. My heart is still breaking until now and there are new threats emerging, based on the news. I pray that peace and order would soon be restored. And that after the chaos has subsided, I hope everyone, specially the officials take time to review and learn the lessons from this…otherwise, this would just be repeated. it really breaks my heart to see the news.. kaya minsan ayaw ko na manood. truly heartbreaking.. makahuot sa dughan jud and nahitabo. The title of this is post is spot on. I cant say anything but is really heartbreaking. May God bless us all!! It’s all very sad! I still read about the struggles and suffering… My heart and prayers go out to the affected families. It may sound bad but I tried to avoid watching the news every now and then. I just got on my feet and checked on clothes and things I can donate. I believe that our prayers would happen that Tacloban will get on their feet fast. Read this post again, hayst… as the days pass by, dumadami lalo casualties noh? I’ve heard that it reached 4k for the dead count already. i just hope that all the donations pouring in will be used accordingly and will be given to the right people. I shudder at the thought of the aftermath; I hope the people recover soon! It’s so depressing to watch the news and find out that a lot of relief goods are not being received by our fellow men. A lot has said that they haven’t been receiving any help yet. This is so sad and depressing. It’s been two weeks since the typhoon. I hope and pray that help will reach all of them na. I’m not the person to quickly shed a tear, but reading and watching the updates broke my heart so much that sometimes, I had to stop watching or reading and just go to the restroom to let the tears fall freely. 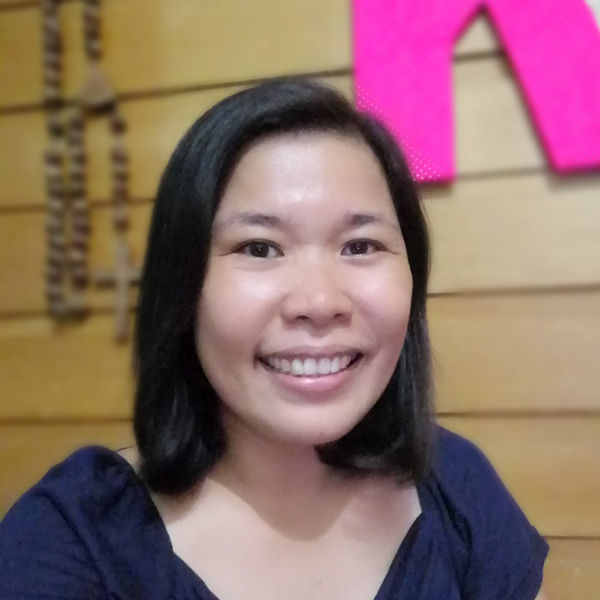 And I am crying for complete strangers pa…it was just too much and it also angered me that the emergency response teams lacked the urgency to act and give help the soonest….so my heart was really torn. I really hope that AID comes faster to the people affected. Truly heartbreaking… till now, when I hear or read stories from survivors, I cry. 🙁 Hay! God deliver us!